The Moment of Inertia (MOI) of any object is as follows. It is a measurement of its resistance to being put in motion around a defined axis of rotation. In essence, Moment of Inertia is a measure of a club’s resistance to angular acceleration or club twisting. MOI comes into play on imperfect contact, when the ball and club face meet away from the sweet spot. Club MOI Speedmatching as it is called, scientifically makes each club require the same amount of effort or force to swing. The required force can be measured by an MOI machine. What if each club in a set required a different amount of force to swing the club. Essentially this means rotating the club around your body. Then a golfer could not be as consistent. Consistency is difficult to achieve, when each club in the set requires a different amount of force to swing. More weight distributed in the center of the assembled club will make it have a “low” MOI. Moving the weight away from the center of the club towards both ends will make it have a “high” MOI. A higher MOI will be more resistant to twisting at impact. Mishits will fly straighter. And, the club will be more forgiving when ball contact is made away from the center toward the toe or heel. The club will feel like it has a larger sweet spot. The same is true with the putter. A higher MOI will enable it to be more forgiving. MOI Speedmatching and the traditional Swingweight matching for a set of irons are both based on the same principle. Each one makes a full set of irons feel the same, during the swing. This is an obvious benefit to the golfer. But, these two concepts are rooted in quite different approaches. 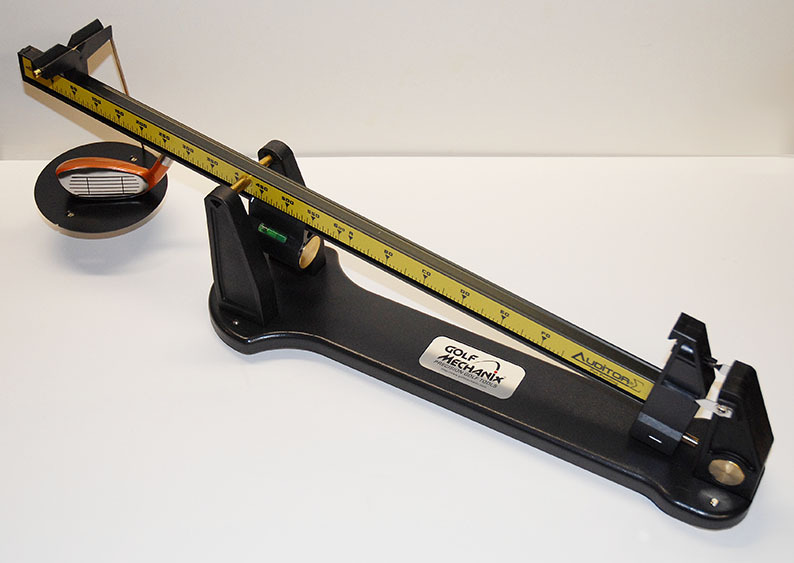 Swingweight matching has been around for quite awhile and is a time tested standard in club building using a special weight scale designed for golf clubs. Swingweigh t is all about the weight distribution between the head of the golf club and the grip end of the golf club. Increasing the head weight and increasing shaft weight make swingweight increase, increasing the weight of the golf grip makes swingweight decrease. The fulcrum point is where the club reaches balance point. The movement of this pivotal point either makes the club feel heavier or lighter. It changes the balance relationship of the club weight. MOI Speedmatching can be a replacement for Swingweight matching in the fitting process. However, MOI is a fairly recent concept in golf and not quite yet widely accepted by much of the golf public as beneficial. Those individuals who are always looking for new ways to tweak their clubs in order to achieve maximum performance know about MOI Speedmatching. The science behind it is sound. MOI – is an actual physical measurement that is made for a golf club, it has dimensional units of mass/(length*length). It is a measure of how easy or difficult it is to swing a golf club. The MOI Matching System consists of a technical diagnostic machine. The machine along with a ruler and gram weight scale are used to perform all of the measurements and calculations required to determine the MOI. Clubs with MOI Speedmatching are starting to make their way onto the professional golf tours. During the MOI matching process, golfers are fitted for the best head, shaft, grip, and club length combination. This is based upon the same fitting procedures as a standard fitting. But, after the heads, shafts, grips, and lengths are determined – MOI Matching is used as a guide in how the clubs will be assembled. MOI will indicate adjustments for final head weight and club length. Unlike with Swingweight matching, the weight of the grip has little if any influence on the measured MOI of a golf club. Every regular golfer knows the longest club they hit well, and therefore have the most confidence in playing. This club is defined as the one, which the golfer hits the ball solid and on-center more often than the other longer clubs in the set. This “favorite” long club is measured for its MOI using the MOI Speedmatching System. Using that discerned value as a benchmark, all of the other clubs are then built to match the MOI of that favorite long club. Technically, this makes an MOI Speedmatched set of clubs a better shot-making and consistent solution. Swingweight matching does not make each club as equal. In regards to the amount of effort or force required by the golfer to swing each club and hit the shot. But, every golfer can be quite different in terms of their tempo, strength, and swing mechanics. So, the right MOI must be identified and custom fit for each golfer to allow the concept to properly work. This goes back to the “favorite” long club that is easy and consistent to hit with accurate results. The majority of average golfers, will not notice a significant difference after MOI Speedmatching. This is in terms of actual swing feel with all of the clubs in the set. What they will see, is an increase in the percentage of solid on-center hits with their clubs. Of course, this equates to game improvement. Higher MOI = Less Twisting of the Head from an Off-Center Hit = More Distance from Off-Center Hits.